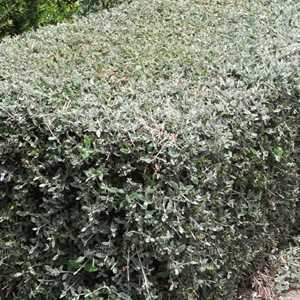 Teucrium Fruticans (Shrubby Germander) is a compact evergreen shrub. It has fragrant green grey foliage with a silver/white underside. During the summer months it has dark blue flowers.Â RHS Award of Garden Merit.